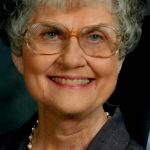 Funeral Services celebrating her life will be held 11:00AM Saturday February 9, 2019 at Kernersville Wesleyan Church with Pastor Scott Simmons and Pastor Don Martin officiating. The family will visit with friends immediately following the service in the church. Interment will be in Eastlawn Gardens.